It’s a fair question. You don’t just want your studio to tread water — you want it to thrive. 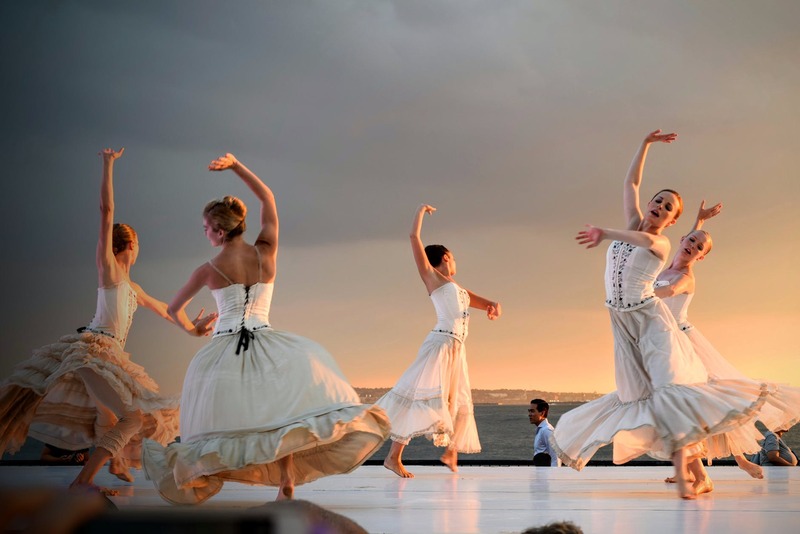 Just getting by isn’t the ideal scenario for most, and while there are few (if any) surefire plans that will ensure longevity for a business, there are some tips applicable to the art of operating a dance studio that can help maximize your chances. I’d like to share a few of my favorites with you today. Putting out the call for applicants in the traditional manner is a good start, but not always feasible when there’s a small hiring pool around or if your job ads just aren’t getting any traction. When such a situation arises, though, there’s a solid “Plan B” you can fall back on. Tapping into your local network of dancers can help tip the scales when it comes to hiring trustworthy talent. Invite some talented guest dancers to help you teach classes, and, through word of mouth, attract others to come to the studio. Be sociable, and you may stumble across some leads that will prove fruitful in your search. Then there’s your own internal network you can tap. Students who have risen through the ranks may show enough leadership to take the reins on a class or two of their own, so start grooming them to do so early. Building cohesion amongst your dancers can help in this regard (and a distinct outfit, like customized leggings create a uniform look for the team, can help them forge a deeper connection with your studio). Remember to look to all available outlets when building your team to ensure you get the best and brightest watching your back. Like any environment with more than a few individuals present, there will be situations that require some measure of conflict resolution. There will be potential for disruptions between faculty, problem students, and even problem parents from time to time. It might stem from unrealistic expectations. In some cases, faculty may have some friction between their personalities. In other cases, parents might not have a grasp on the way things are supposed to operate. They might have a contention to every policy, every decision. They might spend an inordinate amount of time questioning everything about your staff and studio. It can be difficult to handle, but the best approach is to be decisive. You have your guidelines and you know how your studio is supposed to be run. It might be a good idea to brush up on some conflict resolution skills. You might also want to look into some of the best ways to deal with parents who are a bit unruly. Your passion might be dancing, but that doesn’t mean you can ignore the business side of your operation. You’ll have to put some time into promoting yourself. 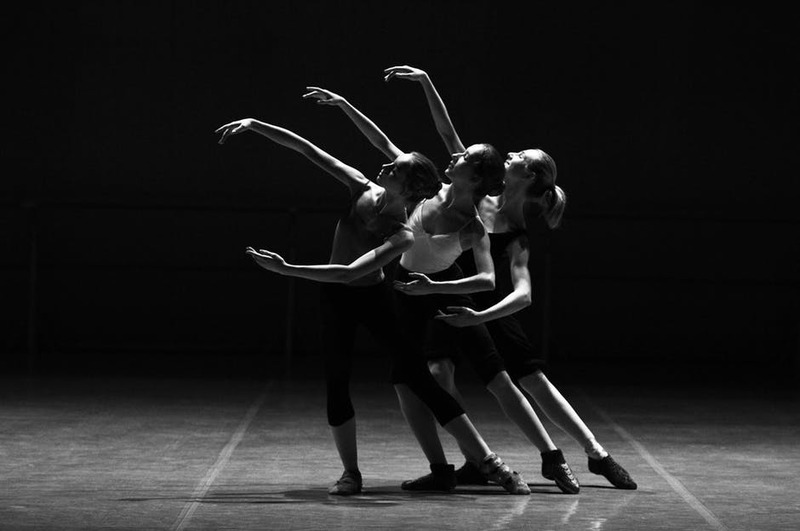 Every industry is competitive, even when it comes to dance studios. Marketing yourself will be part parcel in your quest to make sure everything goes smoothly. In a way, you’ve probably already got some buzz going through word of mouth. You can capitalize on this further by making use of online marketing avenues, such as social media and the like. It might feel like a tricky landscape to enter at first, but if you study the fundamentals, you’ll be able to take control of getting your name out to the masses in no time. Last, but not least, you should remember that throughout it all, you’ve still got to make time for yourself. Putting in the hours necessary to build your studio and make it flourish is essential, but, you won’t be quite as effective if you don’t prioritize recharging yourself as well. When possible, get in the habit of taking a day off at regular intervals. Excite some of your interests outside of dancing, and return ready to tackle your next challenge. With a forwarding eco-friendly global community, organic clothing provides people with a chance to create an impact on an exclusive level. To demonstrate, natural cotton is responsible for producing almost all organic apparel, as well as soy and hemp, making organic clothing a staple to every possible clothing variety. Those with enthusiasm for clothing and a passion for protecting the world can find inspiration, joy, as well as profit by establishing an organic clothing industry. Hence, here are the important tips when setting up your organic clothing business. The first thing you have to consider what being sustainable means and determine how this concept can work for your label. Accordingly, put your imagination for your organic clothing line on paper. Also, define all your objectives and goals by doing a business plan and study the trends and profits of the industry. Next, provide information about your business, including the statement of mission and vision, the name of your business, as well as the organizational structure. Then, provide comprehensive marketing plans along with the information regarding your target market. Lastly, determine the potential profits and illustrate performance possibilities with financial statements. Looking for your perfect material is quite challenging if you are limited to only ethical and sustainably and made sources. However, there are a few eco-friendly fabric options that are quite popular in organic and ethical brands. Organic fabrics have a lesser impact on the environment than synthetic materials. The cropping of organic cotton use quite less water than those of conventional cotton and are free from chemicals and pesticides that are harmful to consumers, farmers, and the whole environmental lives. Other than organic cotton, some sought-after natural materials include Tencel, bamboo linen, also the deadstock and recycled fabrics. Also, using fabric made out of recycled materials consumes lesser energy than manufacturing an entirely new fabric. What's more, surplus or deadstock fabrics are leftover from factories, mills, or big companies, and then resold at more affordable prices instead of being thrown into the garbage. Thus, do research and communicate to some reputable suppliers and request few samples for you to review. After you have compared several suppliers, gathered plenty of options and chosen your fabrics, you can now develop your design. Before jumping into the designing process, you have to establish your brand identity. As mentioned earlier, study your target market and identify your ideal customers. Also, you have to be concise in strengthening your product vision by creating a brand message, mood board, and a written review of your target market for your reference. Now, you should work on making your design concepts into a tangible and actual product. Draw clear design outlines, and hire someone to help you with the pattern and sample making if needed. Remember that this step may require some stages of tweaking until you can have your ideal garment pattern and figure that you can introduce to a factory. At this moment, you also need to have your technical sheet ready. Technical sheets play crucial details of construction to let factories produce your designs easily. After your tech sheets and product samples are ready, now is the time to look for a production partner. Remember that when looking for a prospective partner, present these including the exact amount of products you want to produce. Indeed, it's essential to be prepared with all of these details to make sure that you aren’t viewed as an amateur since factories won't hold your hand throughout the process. Consider also to get some costing quotes from a few alternatives and compare the pricing. Moreover, determine the lead times of the factory and set a production itinerary that works for you. After you have done the process above, it's the time for you to do the promotion. However, promoting a product doesn't seem to be easy as it seems. Understand that the promotion tool in the marketing mix plays a lot of communication which covers all image-forming and sales-promoting measures. This step is vital in implementing an organic and ethical brand. Thus, communicate with your target market through the use of social media, since it is the most influential means of marketing nowadays. Also, try to display your products online like Deal Wiki and other online sites to have a wider reach of customers. The word "organic" is spreading around like wildfire in the past years Though it's commonly used to describe foods, it now transitioned to our clothing too. If you're a fashion enthusiast and a nature-lover as well, think of creating your sustainable and organic brand. But remember that when starting your organic clothing brand, you need to go more than a good sense of style. You also need to know the game in business as well as the capability to create organic garments. For many of us, we hear the term ‘sustainable fashion’, we learn a little about what it entails and we are eager to start being better and being more sustainable. The only issue is - how and where do you start? Search the internet on how to start supporting ethical fashion and in typical internet style (excuse the pun) you’ll find the usual combination of: highly valuable information, a mixture of controversial opinions, followed by a few misleading facts and some completely worthless reading! The most common debate is the “do you start again, throw out what you have and buy all new, sustainable fashion items? Or do you act sustainably and use what you have until the time comes when you will subsequently replace it with sustainable alternatives? The choice depends on you, but the most rational option would be the latter. The art of supporting sustainable fashion involves supporting ethical brands, buying items of clothing made using eco-friendly fabrics and manufacturing processes, as well as preventing textile waste! We can all start being more sustainable today without rushing out to buy from ethical, eco-friendly brands! Here’s how to be more sustainable in 5 easy steps! 1. Learn what colours suit you so that you don’t buy the wrong colour that you’ll hate forever and never wear. 2. Learn what styles and textures suit your natural body shape and silhouette. Dress for the body shape and physical features you have rather than what you want, and you’ll always dress well! 3. Consider what you really need from your wardrobe: a small but tailored capsule collection of items that suit you perfectly and can be effortlessly mixed and matched without any thought? Or a more complex wardrobe of vintage garments, on-trend pieces, a huge range of accessories, as well as essential classic pieces? Unless require a wealthy collection for work purposes, I’m sure that most of you would feel better having a neat and stylish wardrobe full of quality items that never fail to flatter your shape and skin colouring. In this case it would be better for you to create a capsule wardrobe of items that you can effortlessly throw together to achieve a stylish outfit! This doesn’t have to mean you have a limited choice or always have to look the same. Take a look here at my 29 items to a perfectly stylish wardrobe checklist here – all of these items can be mixed and matched with little effort but guarantee you look fabulous all the same! 4. Don’t rule out using thrift stores! Here’s why… Second hand shops, charity shops, vintage boutiques, thrift stores. There are so many ways in which to refer to clothing outlets selling pre-owned items. What’s most important is what they represent – reusing clothing thereby preventing textile waste! Not everybody is keen on the idea of wearing items of clothing that once belonged to somebody else, so here’s a little food for thought. In some cases the items you pick up in thrift stores have actually been worn far less than brand new items you purchase from high street stores. In many cases, second hand clothing stores are full of items that were mistake purchases and have only been worn a couple of times or never at all! On the other hand, high street stores receive huge volumes of daily shopper traffic ranging from ‘the teen that just wants to try on items after school’ to ‘the keen shopper that’s going to try, buy, and possibly return everything’. My point is that more times than not, the items you buy on the high street have been worn/tried on more times by lots more people than something you might find in a second hand shop. Additionally, there are some quality items on offer in thrift stores, available at a fraction of their normal retail price. Don’t forget that when conducting a thorough ‘wardrobe weeding’ session, offloading your unwanted fashion items to a charity shop/pre-owned fashion store is also a good idea. It eliminates waste and puts your old goods to better use! 5. DIY. Upcycle. Revamp what you already have! You’d be surprised at just how many more years you could get out of an old shirt with a button missing (Fix: sew on a new one), or a plain t-shirt that bores you (Fix: sew on sequins, fancy buttons, add a brooch). There are lots of easy DIY fashion tutorials on Pinterest, Youtube, as well as on my own site. You’d be amazed at how quick and easy it is to completely transform your old clothing in the matter of minutes! Finally, if you’re missing shopping and are in need of a little inspiration on how to revamp clothing you already own, take a trip to the mall for ‘research’ purposes only! Enjoy browsing round the carefully curated collections on display, but instead of taking an armful of hangers over to the counter, take out your camera phone and take pictures of garment details, styles and fits that appeal to you. Quite often, the items you see on shop displays are very easy and affordable to replicate at home. Take for example, a t-shirt with button details along the shoulder line. The extra detail makes the garment look expensive but sewing a couple of buttons onto a t-shirt couldn’t be simpler and is something anybody could do at home! Supporting sustainable fashion and being more sustainable is highly creative and incredibly rewarding. Once you start implementing these 5 easy steps, you’d be amazed at how enjoyable your journey becomes! The reason why a fast food chain restaurant can offer a 1 euro burger wherever you may be but getting clean, potable water to places that may need it seems sometimes impossible is the same reason why China had an incredible fast paced industrialization and growth after Apple decided to build the iPhone there; chains of production and transportation. I am not going into detail about the economics or the pros and cons of such large scale cogs that make the world market turn round, instead I will over-generalize certain points I think are the main focus when talking about sustainability, and specifically in the fashion industry. Industry brings money and places are often charmed by the influx of low-skilled production jobs, which on their own are charmed by the cheap labour. The problem comes in when there is no care for the community or the place. The short term benefits of urbanization and wealth have proven to be quickly outweighed by pollution, extremely poor safety regulations, an emphasis on speed and quantity and not a long term commitment; and just like land that gets overworked at some point it dries and the fertility seems to be gone. Workers demand more in terms of income, benefits, laws and regulations get stricter and the industry that so suddenly came in moves on to find another place to colonize as it may seem. We have seen this time and time again. Yet it is hard to place the blame on one thing alone. The speed at which the industry must move derives by the speed us as consumers demand product. Fast fashion being a frontrunner in this with stores that switch around a lot of their inventory every two weeks. We want the next trendy item and we want it to be affordable, we want that cheeseburger and it better be a euro. From consumers to providers there lies an incredibly long amount of intermediaries ranging from transport companies with tankers, port employees, retail workers, factory workers, communities that get built around these industrial towns, farmers and land owners, countries and taxation, bankers and lawyers who struggle to make sense of everything so that you can get that white tee for 5 bucks no questions asked; so much depends on it sometimes it seems like the cliche’d phrase of “it might just be too big to fail” seems to apply. I would like to point out an important part of the chain that sometimes gets relegated to a different sector, which people might consider to be somewhat separate, and that would be designers. Technology and fashion have always been connected; the use of denim for work attire, or the use of materials to make clothes waterproof may be a good example. Before plastics we’re a thing we would cover leather with beeswax for example, but how affordable is that for today’s market? We can also leap to today and see what sports brands are doing with sneakers and their incredible push towards materials engineering; a quest for comfort and durability at a point where it can be mass produced at a price point where people find it worth their money. Luxury will always be there, so a good pair of leather shoes built by human hands will have an artisanal value, but I would argue that the care put into quality means something that will stand use and wear, not a cheap leather item that is in itself nothing but designed to be replaced after a season. So leaving that alone for now, let’s talk a bit about technology. Does technology need to be priced as much as luxury is? Do a fabric that can offer durability, comfort, or even thermal properties need to be more expensive than something that came from half way around the world in a container? Unfortunately mostly yes. For the industry to cannibalize itself there will always be a reason to keep the machine working. Or will the bubble ever burst as perhaps the housing industry did? Unlikely. I am not trying to say that we as consumer have the power to influence a sudden change. We can compare it to the zero kilometer movement in the food industry, but even then people will pay a markup for locally grown, locally sourced vegetables and fruits. Neither I am saying the economical system needs to be reworked for anything to change, every system has and will always have its flaws. So what exactly am I trying to say with this seemingly pointless rant you might be asking yourself right about now, and that’s a fair point, because I do not have all the answers and I believe no one does. I do have some suggestions and do feel free to disagree with me, but as long as I made you think of your own then I believe this has been worth every keystroke. The west going in crisis where over-qualified people can’t find a job is a place that needs to get some investment on. Not for production perhaps but for development. Whereas in other industrial revolutions so much effort was put into the development of technology it has now been focused entirely on phones that we throw out every couple of years and the likes. We can see how this can work with companies like Tesla and finding solutions for energy sources, or how a private company tries to make affordable space exploration when the dream seem to have been lost in past generations. We are easily distracted and information comes so often and so quickly that our perception has been shifted into small pockets of issues we as a whole pay attention to and then move on. Impossible with funding from Google and Bill Gates has developed a burger paddy that imitates meat as much as they could with plants, not for vegetarians, but to proof meat eaters that there can be another way, All of this thanks to designers and engineers and people with white coats; people that sometimes don’t get the pay they should get in a world where ideas are privatized and owned by employers. Some may say open-sourcing certain things might make the market adjust itself. If a new textile can be developed by students in MIT and companies could use their chain of production to create and sell something more environmentally and socially friendly that would benefit us all. What I am trying to come down to is that ultimately all it takes it for someone to care and to make someone else care, not with frustration and the hashtag of the week, but with empathy. For consumers to buy smart, spend what you can but spend on something that is worth it and be an informed consumer. For designers to be interested in talking to engineers and for decision makers to convince the backers that sometimes, if they actually care we as consumers will too. Let’s make technology in fashion not such a luxury anymore. 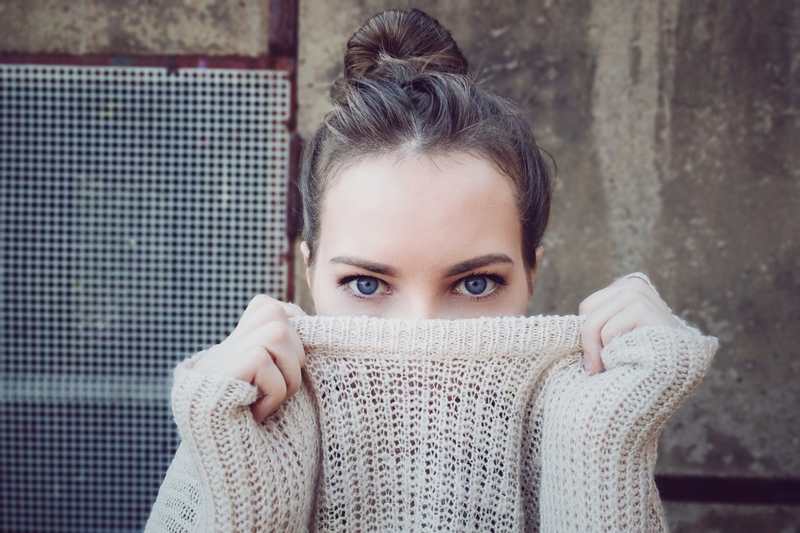 Stroll into your average high street store during the winter season and you are likely to meet a number of controversial types of clothing materials. Materials such as wool, leather, fur and suede are incredibly popular and widely available during the winter months. A simple winter hat with a fluffy pom-pom may contain traces of real animal fur. If you want to avoid innocently buying into unethical fashion, consequently supporting cruelty then you need to pay attention to what you are buying and how to identify the differences between animal skins and their ethical alternatives. · As mentioned above, real fur is no longer noticeably softer than faux fur alternatives. These days it is often vegan fur that is softer than real animal fur so don’t let this confuse you. · Similarly, don’t let the colour of the fur fool you. Faux fur can easily be dyed and comes in a range of colours and shades. So don’t judge purely on its colour. · Look at the ends of the fur. Usually real fur tapers to a fine point at the ends, whereas faux fur is choppier and the ends are not so neatly defined. · If possible (very carefully) burn a few small strands of the fur. Faux fur will have a chemical smell, but if it smells like burning human hair then it is real animal fur. · Look carefully at the label on the garment. Sometimes hidden in the small print on a label, you will see that the item is made from e.g. 75% polyester and 25% mink (or another animal) fur. We often hear about sustainable fashion and we’re told that it’s the future of fashion but what exactly does it mean? There are so many terms to describe ethical and eco-friendly fashion but they don’t all share the same meaning or mode of production. So let’s take a look at what it means to live and dress sustainably. Sustainable fashion is a term used to describe fashion items and their raw materials that have been grown, sought and produced in an environmentally-friendly way. Producing any kind of clothing takes its toll on the earth’s resources, but the sustainable fashion industry tries to find other eco-friendly alternatives where possible. All of us have to wear clothes. Many of us enjoy the process of shopping, styling and wearing clothes. None of us want their fashion habits to have a negative impact on our planet! Before we go any further, it is wise to familiarise yourself with the below listed terms, describing different aspects of ethical fashion. You’ve heard the term “fast fashion”: fast-moving clothing retailers that produce fashion items in the masses, which are often manufactured under poor working conditions in other countries. Slow fashion promotes the belief of “buying less but buying better”. Buy garments that you’re going to wear. Invest in items you love. Wear the items you buy. Don’t waste your money on clothing that may fall apart after a couple of wears. Ethical fashion signifies ethical manufacturing, textile sourcing and working conditions. This means that no living beings (human or animal) were harmed or mistreated while obtaining the materials, during production or at any other stage. Fashion items made from materials that are not obtained from animals, i.e. no fur, leather, wool, silk, suede, etc. Vegan fashion guarantees that no animals were harmed or killed for the sake of manufacturing fashion products. 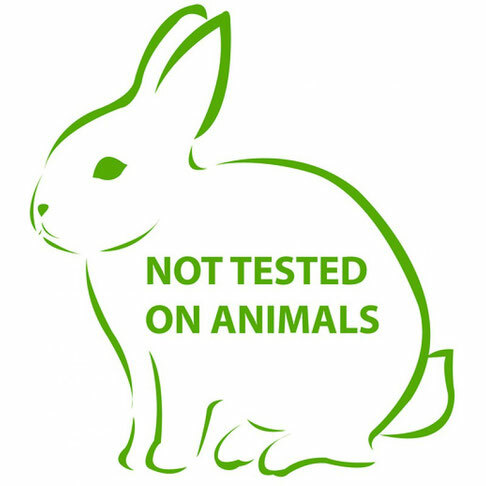 Cruelty-free fashion usually refers to products which do not involve testing products on animals or unethically obtaining skins and other materials from animals. In the world of cosmetics however, cruelty-free can mean that the product and its ingredients haven’t been tested on animals, but it may not necessarily be suitable for vegans – take cruelty-free honey lip balm for example. Sustainable fashion involves using recycled materials or producing new fashion items using dyes and manufacturing processes that cause as little harm as possible to the environment. Other types of sustainable fashion involve swapping clothing, buying pre-owned items, upcycling what you already own, or buying less and wearing it more. 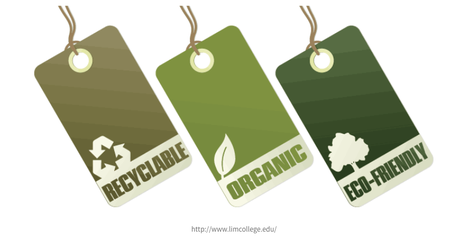 Fashion products that are manufactured in a way that is most economical for the earth’s resources and the environment. Eco-fashion manufacturing uses special dyes and fabric fibres sourced from natural, recyclable materials. Would you run your kitchen tap and allow 7000 litres of water to just pour down the drain? It sounds like a huge waste doesn’t it?! It takes 7000 litres of water to make a single pair of jeans. Every time you discard of an unwanted fashion item that you’ve purchased on a whim, you are essentially throwing away thousands of litres of water! This is one of the many reasons why supporting sustainable fashion brands and being more sustainable in your daily life has such a major, positive impact on the planet. Typical clothing production using non-sustainable materials and processes is harmful to the environment for a number of reasons. The heavy use of bleach and harmful dyes (especially when dealing with animal skins) is not only damaging and potentially toxic, but also requires thousands of litres of water in order to carry out the dying stage. With such a huge choice of high quality natural fabrics and vegan leather available on the market, it is easier than ever to dress stylishly and ethically! • Be conscious of what you buy. Buy items that you love, that suit you perfectly, and that you know you will wear over and over. • The “30 Wears” question: last year I participated in a campaign called “30 Wears” – a challenge that encouraged people to wear each fashion garment that they buy at least 30 times before disposing of it. So, next time you shop ask yourself whether you could imagine yourself wearing the item you’ve just picked up at least 30 times. • Take a good look at items in your wardrobe and see how you can upcycle them to make them more wearable. Sewing on a couple of sequins or accessorising in another way can instantly transform the overall look of a garment. • Aim to buy from ethical and sustainable fashion brands. Every item of clothing has a story, so why not make sure its story is a positive and environmentally-friendly journey. • Set aside 30 minutes per week to plan out your outfits that you plan to wear that week. Not only will this save you heaps of time and stress each morning, it will also allow you to see what exactly you have lying in your wardrobe which will help you to make good use of it by planning a way in which you can wear it. • Learn what kind of styles, colours and fits suit your personal physical characteristics, enabling you to make more informed decisions when shopping for clothes because you won’t waste time or money on items that you know will not suit you. • Wear what you buy! Textile waste is a huge issue across the world, so the insignificant act of making good use of the clothing you own and preventing textile waste can improve this problem in an enormous way! Sometimes an intuition can lead to a great project. Innovation, sustainability and quality to make the world a better place: these are the ingredients of the idea of two young Italian women, Adriana and Enrica. Their dream comes true by pioneering an innovative process to extract cellulose from citrus juice by-product, transforming it into a refined, high-quality fabric. Their project brings together two pillars from the Italian heritage, textiles and food, and responds to the need of innovation and sustainability in the fashion industry. In 2014 Adriana Santanocito was a student of Fashion Design at AFOL Moda – Milano, specializing in textiles, materials and new fashion technology. She knew about the huge amount of citrus juice byproduct, the so-called “pastazzo,” thrown away everyday in her Sicily and proposed a sustainable fabric from citrus byproducts for her thesis. She shared her idea with her Sicilian roommate, Enrica Arena, so they started Orange Fiber, with the collaboration of Politecnico di Milano. 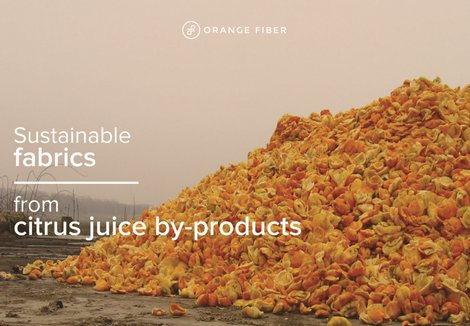 Orange Fiber is now a reality: it's the world’s first and only brand to produce a new and sustainable product from citrus juice byproducts, transforming them into beautiful materials reducing waste as well as pollution. 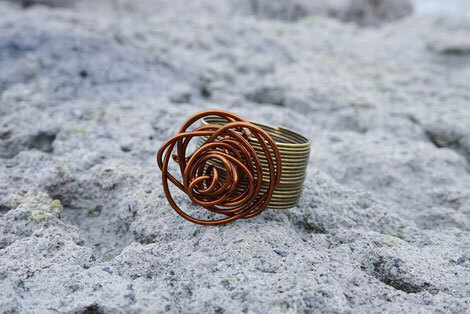 It's surely one of the most interesting approach to sustainable fashion in the world, an example of creativity for the safeguard of the planet to be proud of. In Italy every year, more than 700.000 tons of citrus waste are produced and no one before had developed an alternative to disposal. This enormous amount of waste caused many problems in the past leading to illegal disposal or to the closing of some factories due to the high costs of disposal practices. 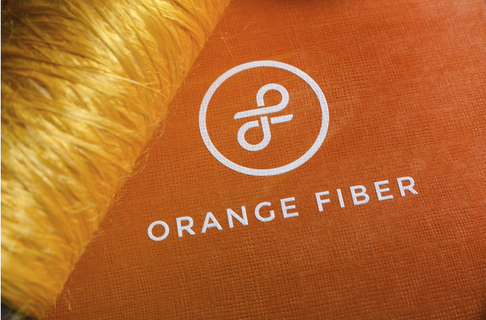 Orange Fiber is the answer to this problems as well as to the ever-increasing number of consumers demanding sustainable materials and to fashion brands seeking green innovation. Orange Fiber solution, to extract a raw material from an industrial by-product, not rival to food, could be the answer to the increasing need of cellulose for textile. Their green production of cellulosic fabrics preserves natural resources, does not dispose an industrial waste and does not use natural resources. Compared to existing man-made fibers from cellulose, either from wood or from hemp and bamboo, Orange Fiber does not require dedicated yields alternative to food consumption or dwilling on natural resources, but reuses a waste thus saving land, water, fertilizers and environmental pollution. When used in its purest form, the resulting 100% citrus textile features a silk-like cellulose yarn hand-feel, lightweight. It can be opaque or shiny according to production needs. It can be blend with other materials, like cotton and silk, and colored and printed as traditional fabrics (inkjet printing and natural colors included). The very first fashion collection made with the exclusive, high quality Orange Fiber fabric has been launched during the Earth Day 2017 on April 22nd by Salvatore Ferragamo. 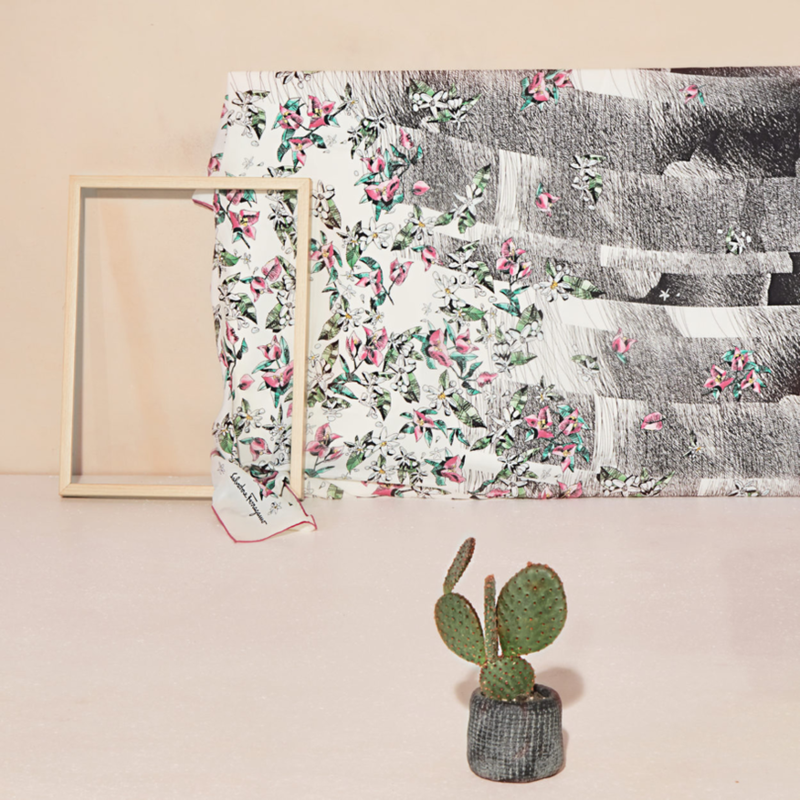 The Florentine Maison has been the first luxury fashion label to trust in this project, sharing the ethical values underneath it and seeing in it both a challenge and an opportunity. From this collaboration originates a Capsule Collection for the SS/2017 made up of shirts, dresses, pants and foulards in a silk- like twill, characterized by essential lines and cut, granting naturalness and comfort. The project is catching more and more the interest and the appreciation of Fashion System, as shown by the current negotiation with FTL Venture Inc, the global venture capital fund founded by Miroslava Duma. The company has also recently been awarded 150.000 € as the winner of Global Change Award – H&M Foundation: Orange Fiber project has been selected as one of the five winners by the expert jury on over 2,700 projects coming from 112 different countries. Among the other awards we can remember the "Technology & Innovation Award at Green Carpet Fashion Awards, Italia 2017". Are Luxury Fashion Brands Sustainable? Are you a lover of elegance? We all choose outfits to look the way we would like to express ourselves. Besides the beauty we look for elegance that’s why we often invest a lot to be elegant. What if I tell you that ethical is elegant. Speaking about elegance the first question that comes to my mind are luxury fashion brands sustainable? You might probably tell me, well, it costs because of the quality of the materials and that’s why they are luxurious or because of the uniqueness of the design. The fact that the uniqueness of the design and the approach used by these fashion brands such as: Gucci, Hermès, Prada, Chanel, Versace and many more applying one of the aspects of sustainability which is quality material and it lasts rather than no quality. Quality over quantity; what about Corporate Social Responsibility? Even some fashion brands like Hermès they hire a designer for each product. Sustainable fashion might be the future for luxury brands and even sustainability is at the heart of their business model like for Marks & Spencer. For instance, Stella MCCARTNEY is the world’s first and only vegan luxury brand. They do not think that any animal should give their life for the sake of fashion. Also, they commit to sustainability in their business as described in their official website. Indeed, I love the fact when it is clearly communicated on the official website of the brand. For some fashion luxurious brands, it is so hard to see clearly responsible communication. That’s the first step a luxurious brand should think about. If there is no information meaning either they have their own niche of consumers or they do not prioritize communicating sustainability or either they prioritize the uniqueness of the design and the collection. I think the best option would be to ask them, send emails if they do really care before buying if it is unclear. Obviously sustainability covers many points that a luxurious fashion brand should communicate. Besides the luxury and the quality they should emphasize ethical trade, responsible business model, future sustainable plans, corporate social responsibility all these aspects matters in order to build a trust with the Eco-friendly consumer. 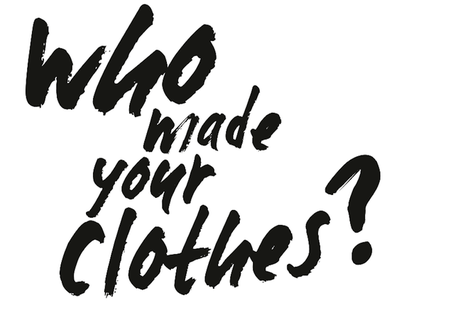 The answer to this question is mixed either there is a clear communication about sustainability like for these Brands: Stella MCCARTNEY, EDUNE, Tome, Eileen Fisher, G-STAR Raw. Also, it depends on how the strategy of the Brand is described including the mission, the vision and the values. For most of known luxurious brands, they highlight la 'Haute couture' rather than 'sustainability'. Also, you might find 'corporate responsibility 'in the menu. I guess it is not enough. Nowadays, things are changing hoping that the luxurious fashion brands would highlight 'sustainability ' and 'Haute couture'. 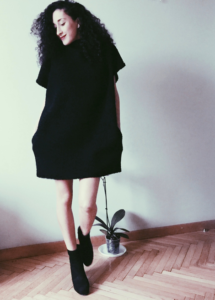 How To Build a Sustainable Fashion Brand Strategy With Values? Outfits, looks and styles; we love that. Who behind these designs? Who are the workers behind this brand that we love? Who are the creators who designed this item that we expose to the world? It is an item that makes us warm, expressing ourselves, being confident, going for a date, or attending an event etc in order to feel good. It is simply a feeling that we tend to satisfy. Though, are the workers satisfied? Is our planet satisfied? A bunch of questions, interactions which sustainability covers ; before all these outfits, looks, and styles there is a strategy, a business idea, a passion, a talent. However, if we combine talent, passion and responsibility we would think about a sustainable strategy before the creation of outfits, looks and styles. What is a sustainable strategy? It is simply to express your passion responsibly. You would think about all along the process from the conception to the creation. It is a responsible road which leads to a responsible strategy. For designers who are adopting these methods they think about all along the process. 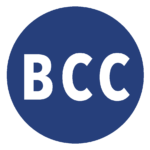 It starts from conception to market launch. 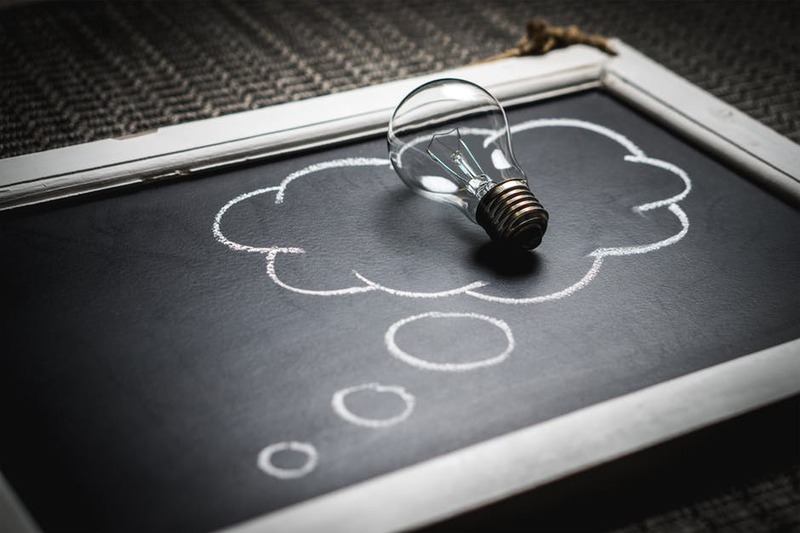 The concept is simple; it is often mentioned on websites that a business has values which its commits to in the execution plan if they are sustainably committed. For instance, let’s say a luxury fashion brand would commit to social corporate responsibility as a value will help them to put actions according to that. Fair trade which fair prices are paid to the producers; workers have great conditions at work place. Empowering women, women develop skills in suing if they have lack of education, charity and so on. First of all, building strong values could help the right path to sustainability. The success of a sustainable strategy may therefore be measured in terms of its degree of its responsibility. It is all about responsibility. Moreover, an adequate understanding of these values is building in general a sustainable strategy. Thus, a deep understanding of which value corresponding for a specific fashion brand might be interesting. There are too many that the brand could commit too. However, these examples depend on the condition of the brand to choose the right values corresponding with its responsibility in general. The goal of these values is to improve sustainability, the environment and social being. Thus the value added is commitment to the path. All the actions, outfits, looks and styles will follow in the creation process. Let’s empower ethical and commit.